Today on the Tales of a Red Clay Rambler Podcast I have an interview with Gus Mabelson. 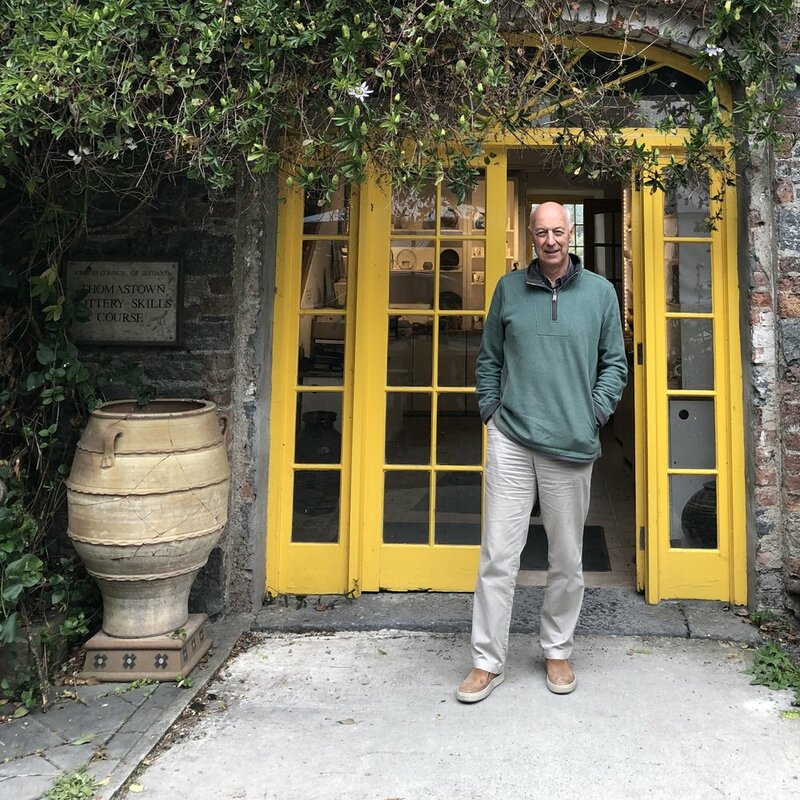 In 1991 Gus came to Thomastown, Ireland to start a one year throwing course that would provide trained workers for the booming Irish ceramic field. Twenty-seven years later he continues to shape generations of Irish artists with the course. In the interview we talk about the education principles that he prioritized when setting up the program, generating momentum for craft in a rural location, and hosting Prince Charles for a visit to the school. For more information about the Ceramics Skills and Design Course visit the Design and Craft Council of Ireland's website www.dccoi.ie. This interview was taped at the 2018 Ceramics Ireland International Festival in Thomastown, Kilkenny.